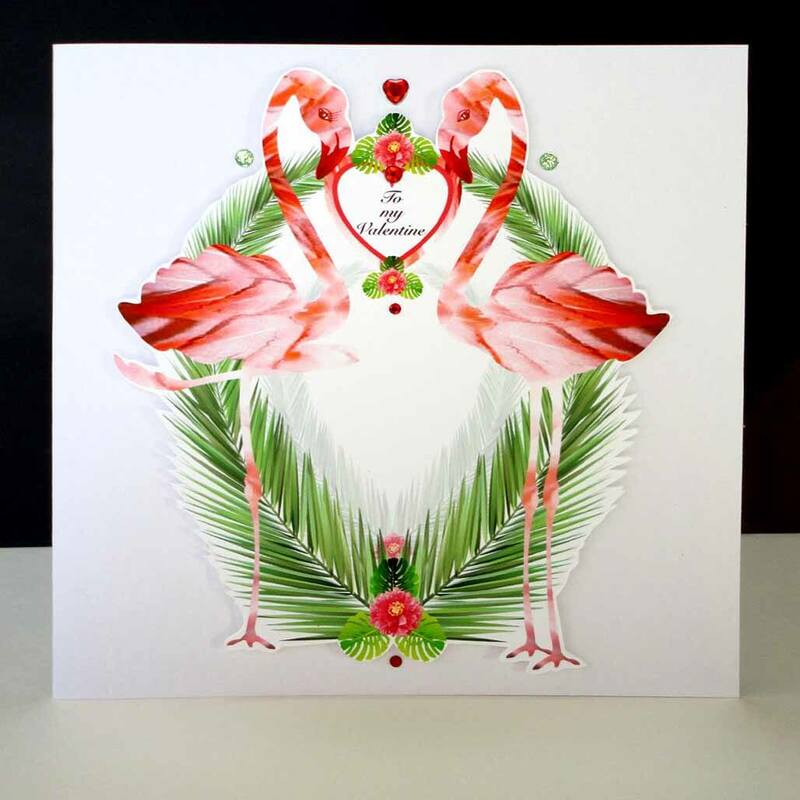 Love Flamingos and looking for that perfect Valentines Card- this handmade card with its beautiful red feathered Flamingos and bright green palm leaves in the one for you! 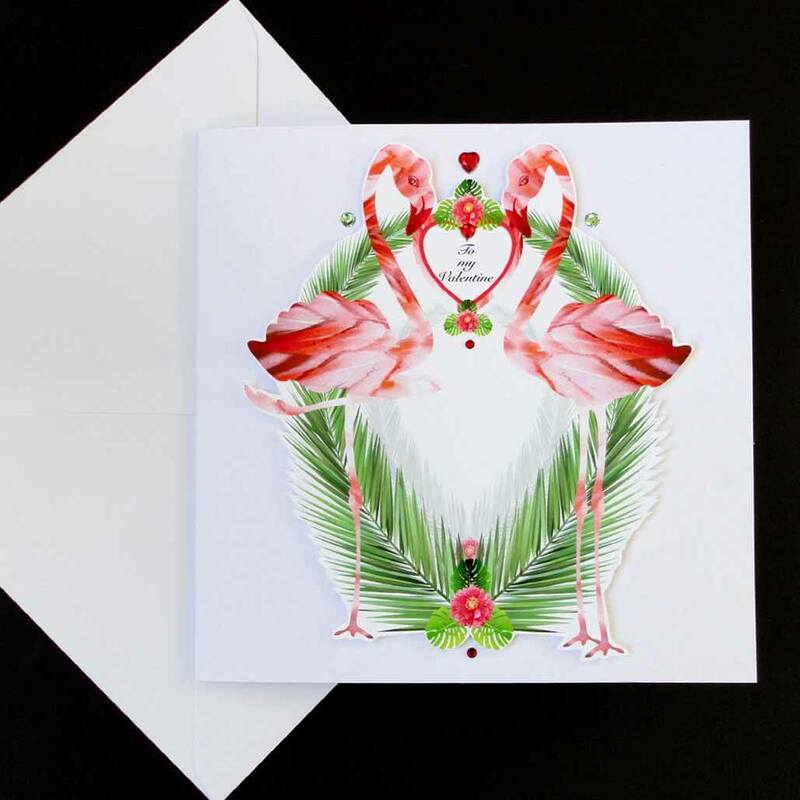 The two flamingos are kept apart by a heart saying 'To my Valentine' the female on the left is fluttering her long lashes at her partner on the right. 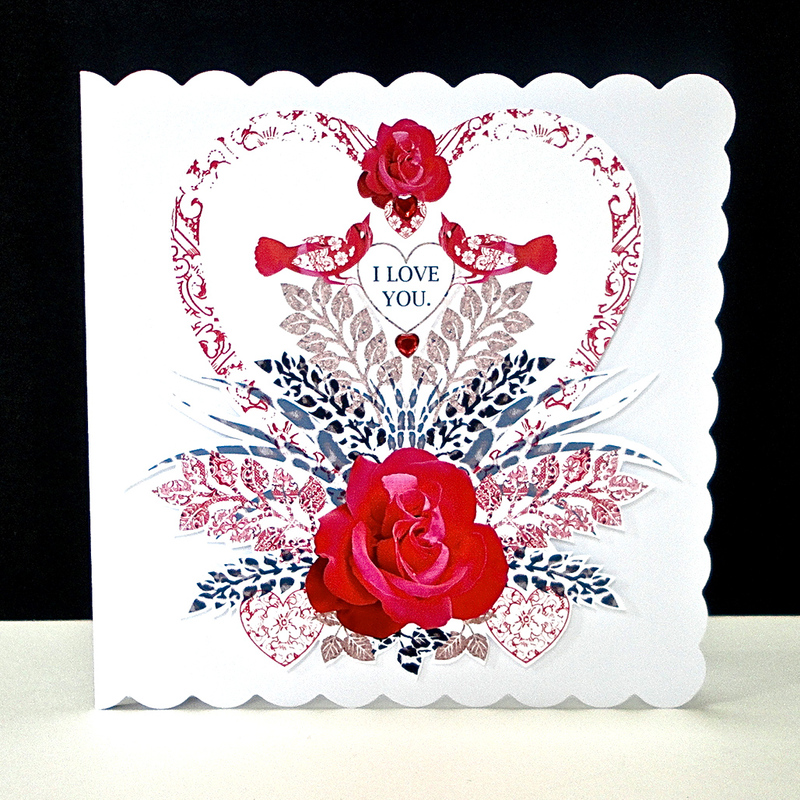 Stunning small peonies and tropical leaves bring the large curved palms and the heart to a point. 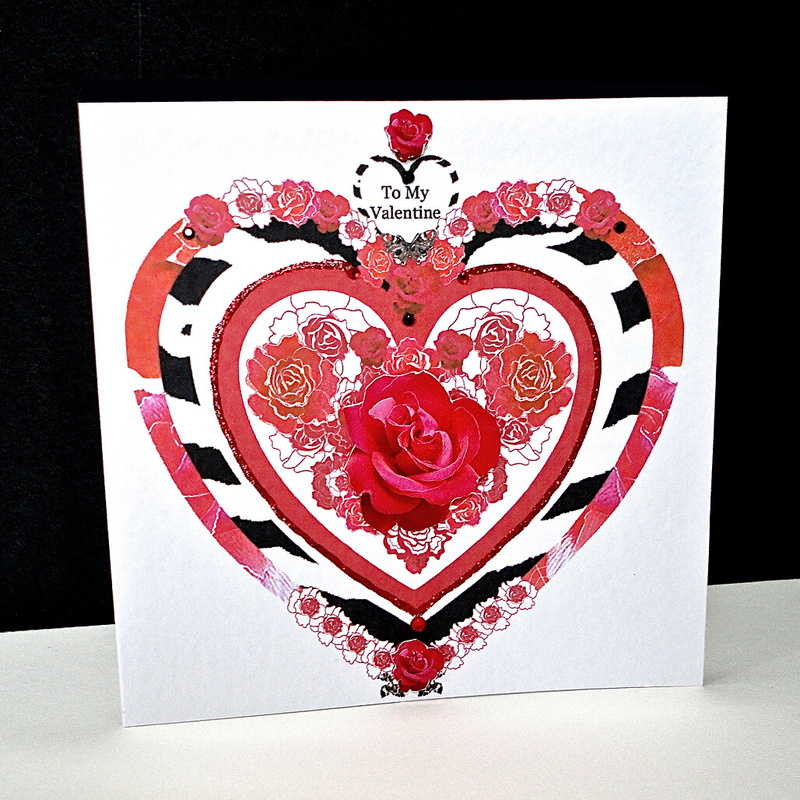 Above this hand-cut mounted design is a red glass heart gem with smaller ones and pale green gems spaced around to enhance this lovely scene. 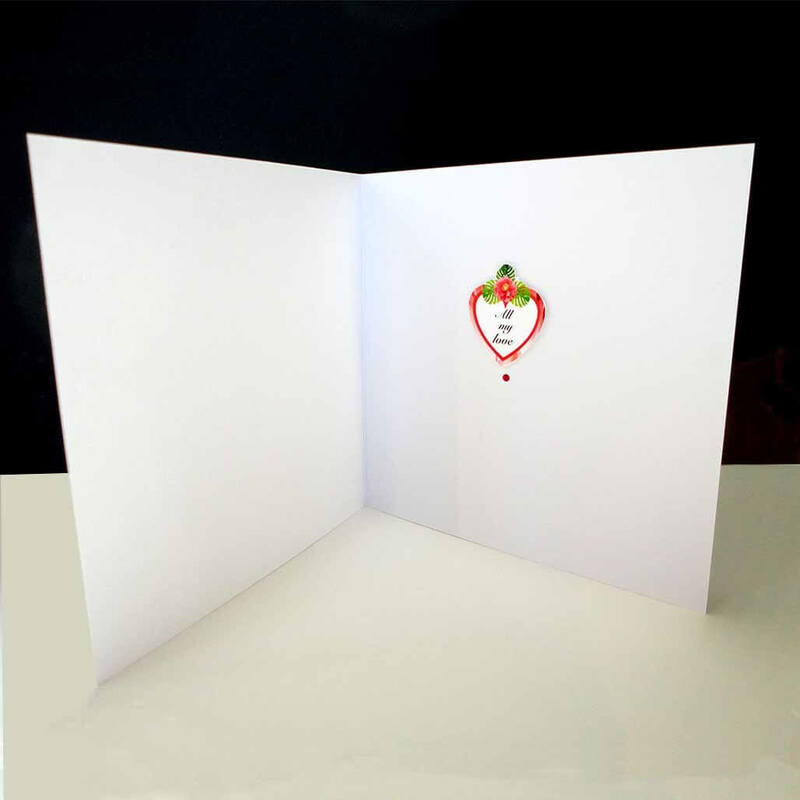 The White card is 150 x 150 mm with a matching envelope. 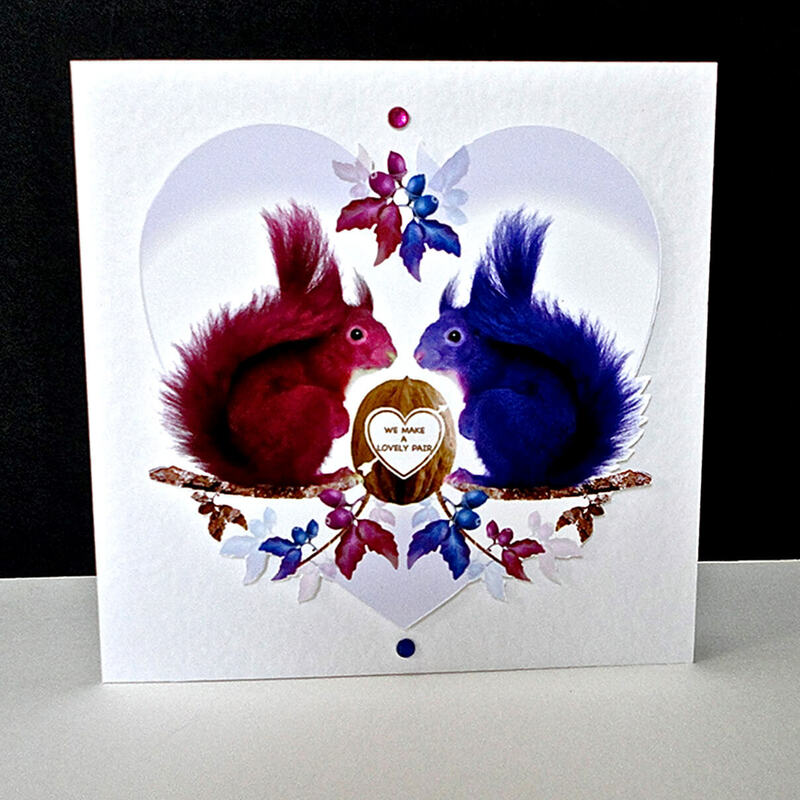 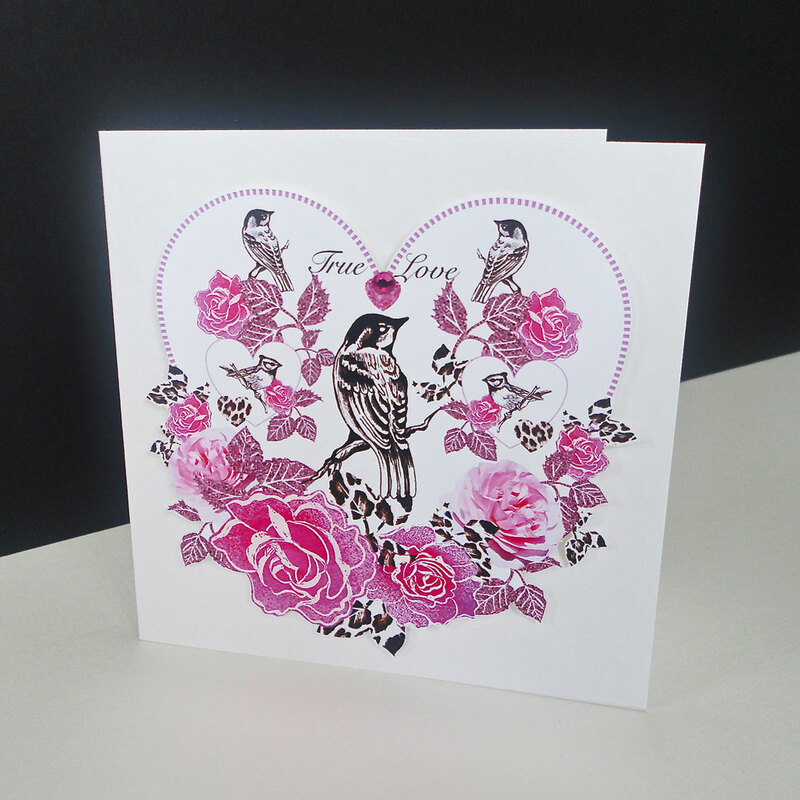 Valentine’s – A Lovely Pair of Squirrels Handmade Card.